This is the seventh episode in the series; to read reviews for the first six episodes, go here. In the latest audio episode of The Witch Who Came in From the Cold, Serial Box goes one step further employing the dramatic TV series feel opening with, “Previously on The Witch Who Came in From the Cold,” which does a great job of refreshing important recent events from the story for the reader. 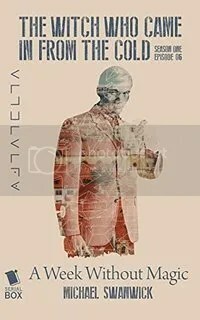 After getting some info, CIA operative Gabe Pritchard is heading out into the Czechoslovakian countryside looking for a cut wife, better known as a witch, to see if he can get some help with his elemental hitchhiker. He learns the demon attached to his soul is not going to vacate his body easily, but also that its element is mercury, which then leads him to try some stupid stuff using all the mercury he can find in town and almost getting himself killed. Meanwhile, Tanya’s boss Sasha Komyetski, after checking up on her, recently “liberated” her of her magical radio that she uses to communicate with her grandfather in Moscow. Readers and listeners get a detailed scene of Sasha creating a magical Faraday Cage to prevent anyone from knowing what he’s doing, as he takes the radio apart and studies its magical innards. He then gets it working and gets in touch with a certain someone in Moscow. Tanya knows she has to get her radio back before Sasha finds out what it can actually do. Using Gabe’s help – as the two become closer and more comfortable with each other – they come up with a plan to switch the magical radio with a decoy without Tanya’s boss knowing. The question is whether he’ll fall for the ruse? To purchase a copy of The Witch Who Came in From the Cold, Episode 7: Radio Free Trismegistus from Amazon, and help support BookBanter, click HERE. This is the fifth episode in a series, find the rest of the episodes here. In the fifth episode of the Witch Who Came in From the Cold things all of a sudden get kicked into high gear. 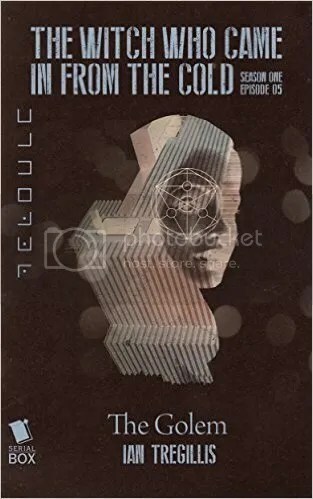 Up to this point, readers have been going (or listening) along with the story, following events as they happen, but in “The Golem” there’s a lot that happens and it’s all on-the-edge-of-your-seat-nail-biting stuff that keeps you hooked to the end of the episode. Plus, with “golem” in the title, you know there’s going to be a big nasty beastie in there somewhere. The episode opens with CIA operative Gabe Pritchard on a cold, dark night digging up a grave in Prague’s Jewish cemetery where he believes there to be a golem, with the help of confidant and close friend Jordan Rhemes. Once he gets the box open, things go to hell real fast. Readers then get to finally learn about what went down in Cairo and how Gabe got his mental magical hitchhiker. Told from Jordan’s viewpoint we learn of her infiltrating a special meeting of the Flame in Cairo and how Gabe showed up at exactly the wrong time. Meanwhile, Tanya Morozova, an acolyte of the Ice, is finding it hard to accept the accusation that Gabe recently made, which is that there is a boat on the Vltava River which is part of the Ice’s operation and is a magical warehouse of sorts with numerous bodies encased in ice. Tanya believes it to be a vessel containing some magical devices and that is fall. She will need to get to the bottom of this herself and find out what happened to the magical host Andula Zlata who hasn’t been seen in some time. Episode 5 is gripping from start to finish as the story switches back and forth between Gabe and Jordan in the cemetery, in Cairo together, and Tanya’s investigation. It is a series of surprises building one on top of the other, leaving the reader open-mouthed by the end of the episode. And for those interested, the author of “The Golem,” Ian Tregillis, just put up a blog post about writing the episode. To purchase a copy of The Witch Who Came in From the Cold, Episode 5: The Golem from Amazon, and help support BookBanter, click HERE. This is the fourth episode in the series; other episodes can be found here. 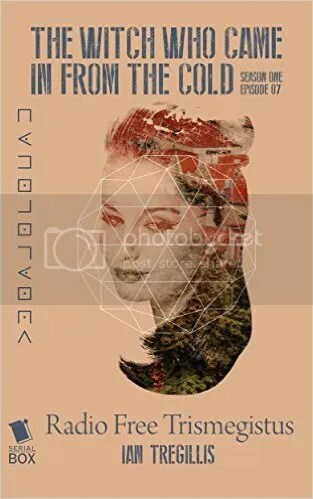 Tanya Morozova has successfully brought Andula Zlata into the protective fold of the Ice; as a “host” she has special powers sought by the Flame. Meanwhile Gabe Pritchard continues to have his occasional debilitating headaches. With the help of MI6 operative and Ice sorcerer Alestair Winthrop, they have determined he has a “magical hitchhiker” within him and that if he performs certain magic, it can appease his headaches and the mystic being within him. Now with his life and well being a little more under control, Gabe is able to try to get into the good graces of his superiors once more, following up on Drahomir Milovic, who was a CIA recruitment operation that Gabe blundered. But he will have to decide whether to do things by the book and make his boss happy, or go his own way and get faster results. Meanwhile, a close friend to Gabe, Jordan Rhemes, is the owner of a bar called the Vodnář, a sort of neutral ground between the Ice and Flame. Readers and listeners also learn she deals in illicit goods there. 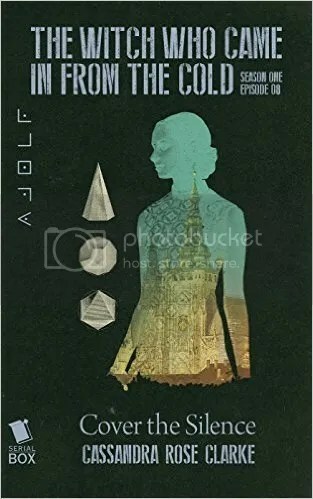 She has had two recent visitors – Karel Hasek, a professor or medieval history, and his partner Vladimir, who are both clearly Flame operatives and are very interested in some of the items Jordan possesses. There is also the reveal of how Jordan and Gabe know each other and are close due to their history in Cairo, which has something to do with the origin of Gabe’s hitchhiker, all of which is revealed further in the next episode. And for those needing a little helpful aid, the Serial Box site has a little “previously” for each episode, much like a TV series, cluing the reader in to what has happened so far, as well as a character list and who’s who. Originally written on February 24, 2016 ©Alex C. Telander. 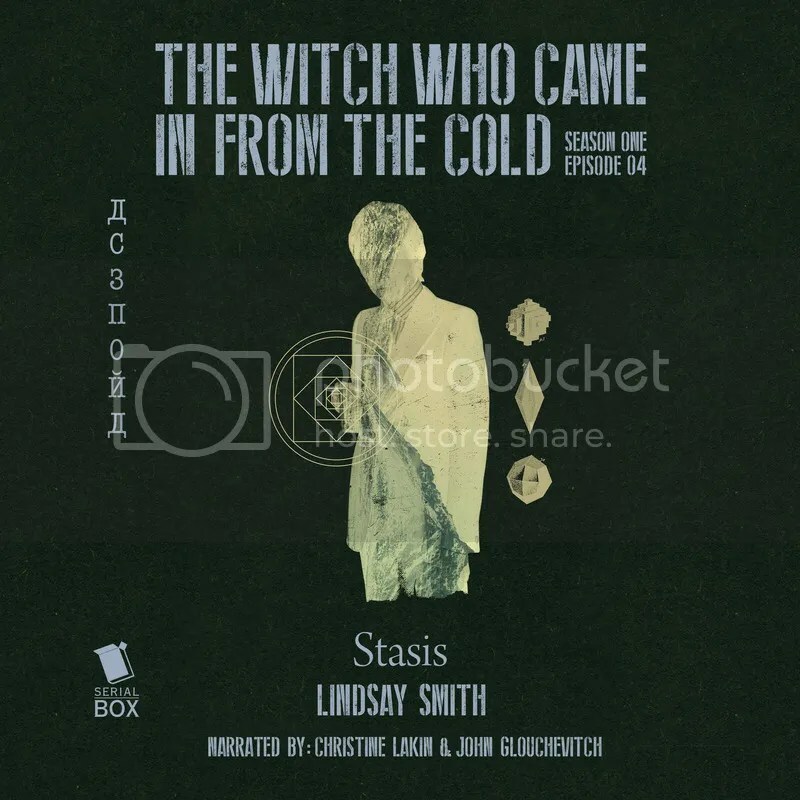 To purchase a copy of The Witch Who Came in From the Cold, Episode 4: Stasis from Amazon, and help support BookBanter, click HERE. This is the third episode in a series, the complete series can be found here. Things continue to not go so well for CIA operate Gabe Pritchard: his boss is breathing down his neck to develop some useful leads and he continues to get these random and debilitating migraines. But he’s not going to give up on his hunch about Andula Zlata, especially since KGB operative Tanya Morozova always seem to be close by; he also happens to be able to track her pretty well by being able to sense her in his mind. The terrible headaches he keeps getting are because of what happened in Cairo. And he knows it’s something to be with magic and he’s going to need help from someone very eccentric: the exceedingly British MI6 operative Alestair Winthrop, who also happens to be a sorcerer for the Consortium of Ice. Then Winthrop invites Gabe to an important party where the man brings him face to face with someone he feels will be able to help him: Tanya Morozova. In this episode, readers (and listeners) get to see the world through some other characters: Nadia Ostrokhina who works with Tanya and Joshua Toms who is Gabe’s partners. Along with the dramatic writing, the audio version has Gabe’s and Joshua’s parts being read by John Glouchevitch, and Tanya’s and Nadia’s part read by Christine Lakin, with a fast-paced back and forth between the readers adding a thrill for the listeners. Plus each episode tends to end in a nail-biting cliffhanger, leaving the reader (and listener) wanting more. Originally written on February 18, 2016 ©Alex C. Telander. 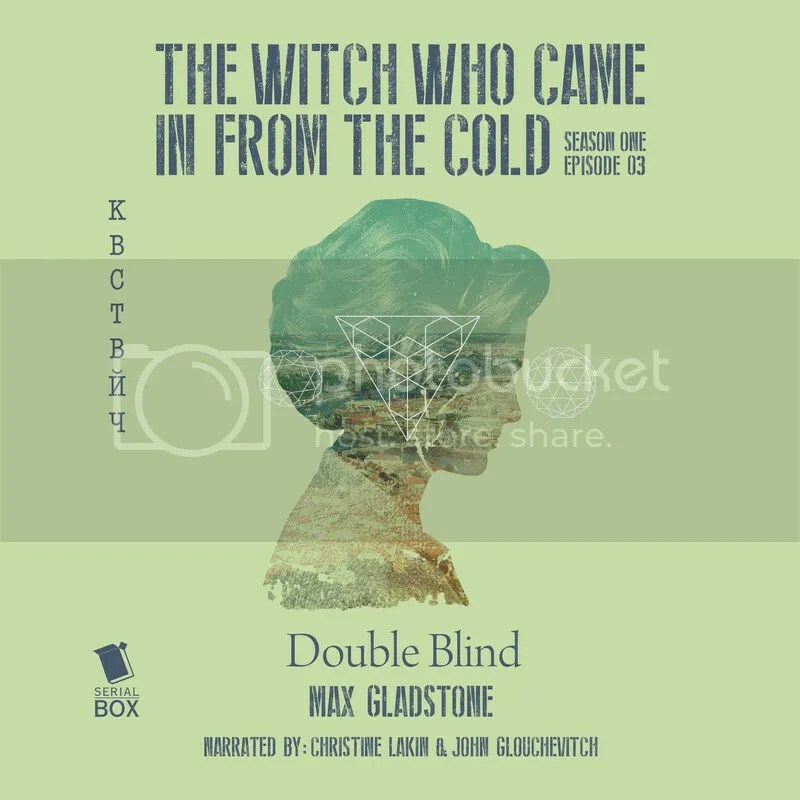 To purchase a copy of The Witch Who Came in From the Cold, Episode 3: Double Blind from Amazon, and help support BookBanter, click HERE.